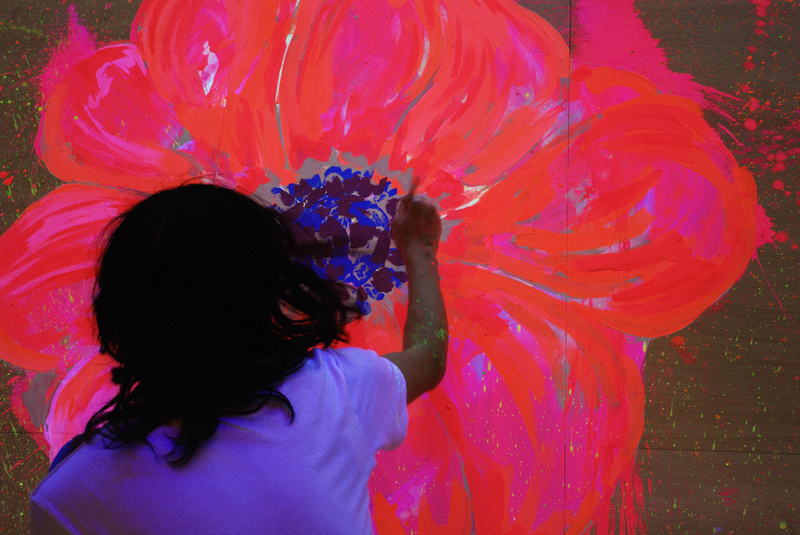 The glow in the dark illuminous installation paintings from artist Que Houxo aka Questa. 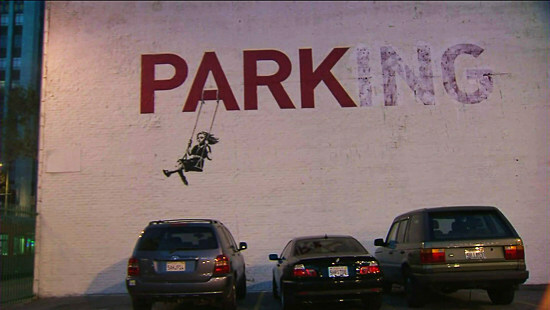 Art News: New Bansky Up in Los Angeles Area & Muybridge and His Moving Pictures in D.C.
From Canadian director Bruce McDonald comes this intellectual take on the done-every-which-way-from-Sunday zombie genre. McDonald is not the type of director to be typical Hollywood when it comes to films. His work is more art-house than in your face kitsche. So anyone expecting the same zombie fair simply recycled is in for a treat. Grant Mazzy (Stephen McHattie), an opinionated rebel radio talk show host is on his way to work at a small radio station that operates from a church in rural Pontypool, Ontario. When he arrives at the station on this Valentine’s Day morning, he is greeted by his producer, Sydney Briar (Lisa Houle) and his technician Laurel Ann Drummond (Georgina Reilly), who recently returned from serving in Afghanistan. He settles into his daily routine of alcohol-spiked coffee and spewing forth political and philosophical rhetoric on-air. When a traffic reporter, Ken Loney (Rick Roberts), calls in with reports of a riot surrounding a local doctor’s office and of ice fishermen attacking policemen, the trio try and get a solid lead on whether or not any of these preposterious stories are true, especially after their affiliate station BBC phones in wanting answers. Shot mainly in the basement of the church, the feeling of claustrophobia sets in, with each new call that comes into the station, revealing just how chaotic the world outside is. All the audience sees is the panic on their faces in the station and hear the constant influx of telephone conversations. The trio are in the dark as much as the audience is and the film takes on a War of the Worlds radio broadcast quality. This plays beautifully on the fact that it’s “what you can’t see that is most scary”. Stephan McHattie’s portrayal of a talk show host who acts more bizarre than the unbelievable ‘happenings’ adds to the chaos and helps build the suspense. This suspense is built ever so slowly, until is revealed that a virus is spreading through the English language and one begins to wonder whether Mazzy himself is spreading the virus through his talk show. Sounds a bit deep, yes, but this film is more on an intellectual plane that a simple flesh-eating zombie gore-fest. When Mazzy and Sydney realize that the virus is passed through the English language they come up with an interesting way to get around this. There were quiet a few moments in the film that raised goosebumps on my skin, and it takes a lot to do that. 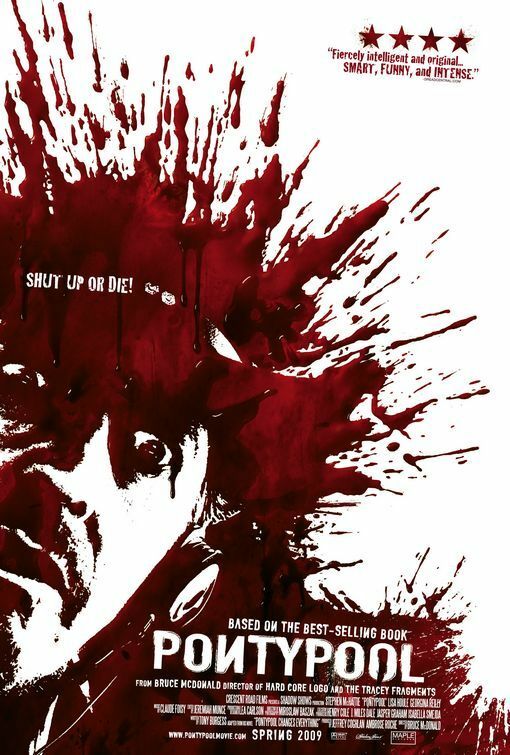 For anyone who enjoys horror, this is a film you need to add to your Netflix cue. This review was originally posted at Open Book Society. DO YOU HAVE WHAT IT TAKES TO CREATE AN AD AGE MAGAZINE COVER? 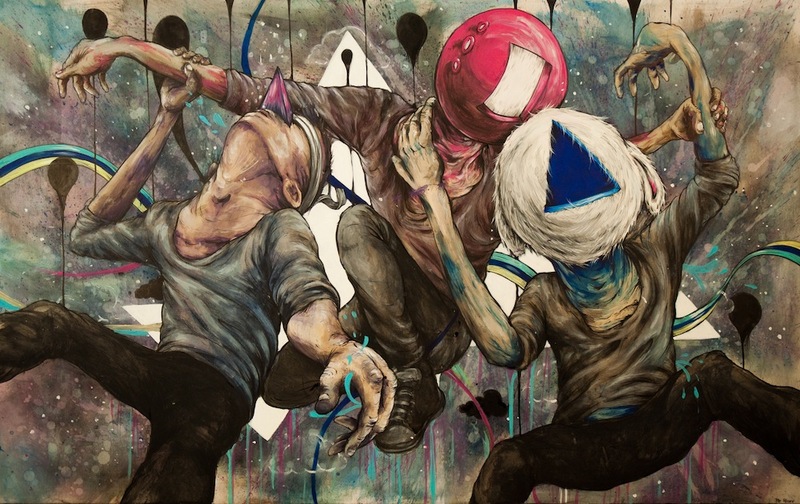 Advertising Age is enlisting young creatives all over the world to design the cover for its upcoming global issue — and will reward the winner with a trip to the Cannes Lions International Advertising Festival in June. The deadline is May 7, 2010. Read whole article for details: adage. 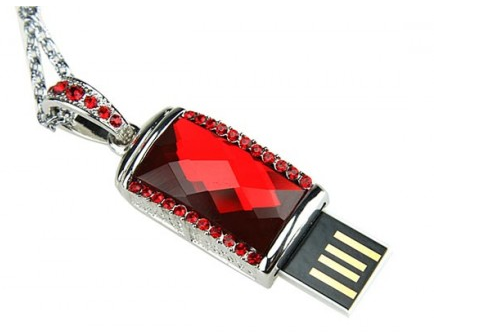 Want to be prepared to store computer files at the drop of a necklace? Feast your eyes on these hidden gems. 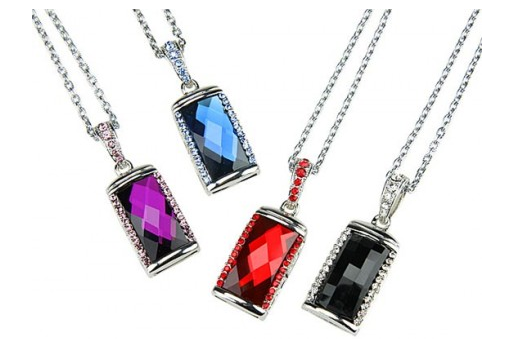 The Jewel Necklace USB Flash Drive comes with 2GB of storage and comes in a variety of colors including red, purple, green and black. These are available at Gadget4all. In December of 1988 the Belgian group Front 242, an EBM/Industrial band, finally got their first club hit with “Headhunter’ which reached #13 on the Billboard Dance/Club Charts. This original rendition, with the video shot in black and white, like all 80′s video’s really makes no sense. What is the symbolism of that egg?